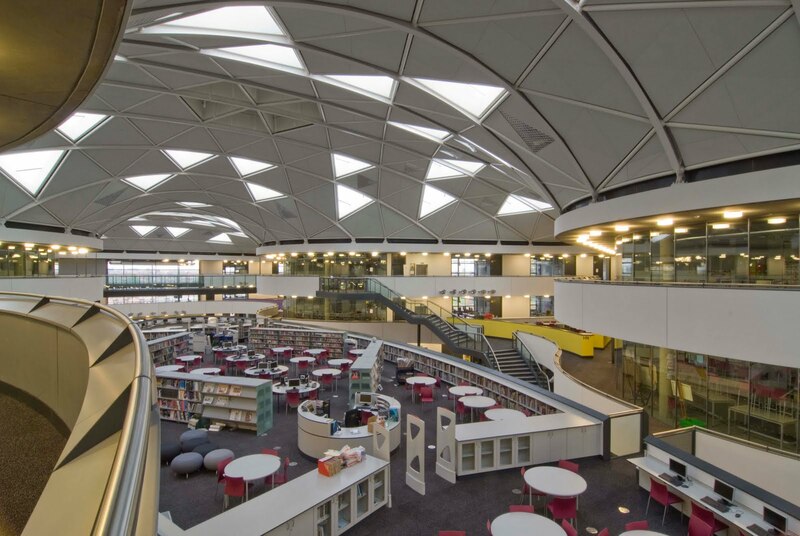 Talking recently to a visiting international 'educator' about being able to see into all learning spaces, he was really impressed about the increasing trend for real transparency in our schools today. He was excited that "you can see what is happening - it demonstrates that these building are about learning- it's a real celebration and it is so light". All of this is true... this transparency does create a modern business like environment, which is transformational in its own right. Students know that they can be seen from everywhere and it also supports staff - they are not alone. Rather than this visibility being daunting, many have now realised that it is contributing to raising students attainment and can be much more comforting for them. Importantly, where there are glass walls - a 'nothing stuck on glass' policy has to be strictly enforced. Otherwise tatty bits of paper, sticky tape and more can quickly spoil the ethos, create a terrible mess, and affect daylight levels. 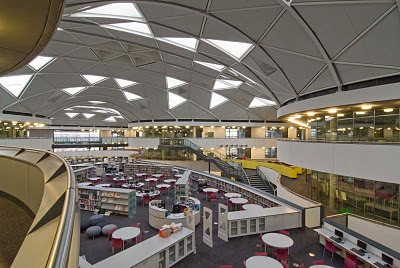 Some schools have opted for designs with large open and 'agile' learning multi spaces - but these do not suit everyone. Where there are walls, and where schools prefer to create some enclosed spaces, I really do recommend using as much glass as possible - it really does transform space, and the learning that takes place, inside and out. You can tell I really love glass in school designs. I have really always wondered why in some schools staff try and block up every window of classrooms so no one can see in. Spaces become more 'cell' like, there is a danger of creating dark gloomy spaces outside the rooms and students know that no one can see them inside. There are lots of reasons, staff are not confident about their teaching, they feel students can be challenging, something they don't want others to see etc. Creating open light learning areas can really have a transformational affect on learning, staff confidence and aspirations for continual improvement. 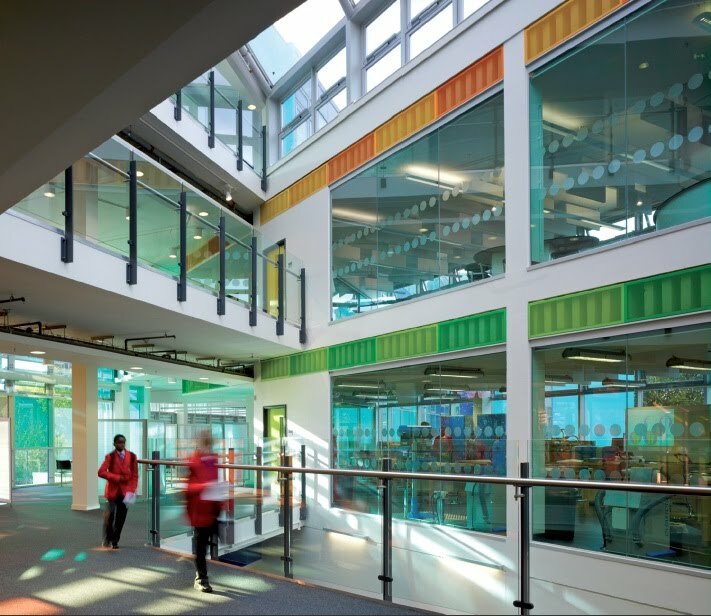 Some schools achieve it better than other, but I suppose some of the most obvious examples of extensive glass use include the fab Thomas Deacon Academy and the amazing City Academy in Hackney. The City Academy won the BCSE 'Inspirational Design' Award this year in the 2010 BCSE Industry Awards, celebrating excellence in school design. As Chair of Judges - I really believe it was a very worthy winner!